How Accurate Were ESPN's Mock Drafts This Year? In my last blog post, I used Minitab Statistical Software to try to determine whether Mel Kiper or Todd McShay is better at predicting the 1st round of the NFL draft. Just like you might need to decide between suppliers in a quality improvement situation, I needed to decide who to go with when I filled out my 2012 NFL Mock Draft Office Pool. Well, as it turns out there wasn't any statistical difference between the two, and the cost was exactly the same. So I just flipped a coin to decide who to go with, and it came up Kiper! Now that the first round of this year's draft is complete, I can do some data analysis on his picks and see how accurate they were. Then I'll do the same with McShay and see if the coin made the right decision. We see that, on average, Kiper's predictions were off by 6.72 picks. This is a little worse than the 5.98 average he's had the last 3 years. Part of the reason is that for the first time in 3 years, Kiper got a top 5 pick wrong. He was a perfect 15 for 15 going into this year, but he missed on Richardson, Kalil, and Blackmon. Of 32 picks, he predicted only 7 exactly correct (and two of those were Luck and Griffin, who were givens). So overall, not a great night. My office pool isn't looking good! But would I have been better if I'd went with McShay? No, I wouldn't have. McShay was even worse than Kiper! The coin picked the right person. McShay's picks were off by an average of 7.03 places. He only predicted 5 picks exactly correct. It looks like it was a rough year for everyone trying to "mock" the NFL draft. So, should you completely ignore the mock drafts by Kiper and McShay? I don't think so. Both writers spend a lot of time researching the draft than most of us can. I think it's just really hard to predict. If you're really into the NFL draft, I think Kiper and McShay's mock drafts are some of the best predictions you can get—just take them with a grain of salt and know that after the first few picks, odds are they're not going to be correct. And when it comes to your 2012 NFL Mock Draft Office Pool, know that it's a crap shoot. 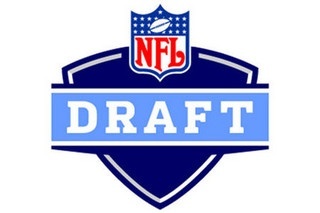 (And yes, I know that nobody actually has NFL Mock Draft Office Pools................yet). Photograph by Zennie Abraham. Images licensed under Creative Commons Attribution-NoDervis 3.0.